Steelworker Luis Garcia, at work on an Amazon building in South Lake Union. Sparks fly from a welding torch. Steel beams sway on a crane rising above a city block. Designers inspect lighting fixtures installed in a new office building that's almost ready for tenants. 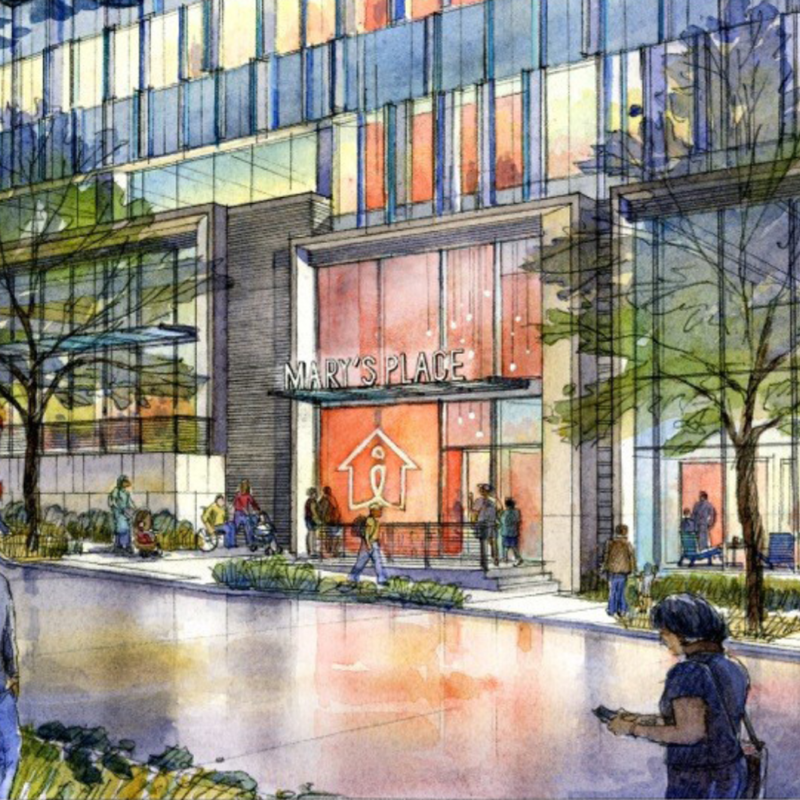 Seattle is a growing city, and behind all of the new buildings are agile teams of hardworking engineers, construction workers, architects, and designers who are dedicated to creating a vibrant neighborhood for everyone to enjoy. Throughout the state of Washington, Amazon has invested more than $37 billion. 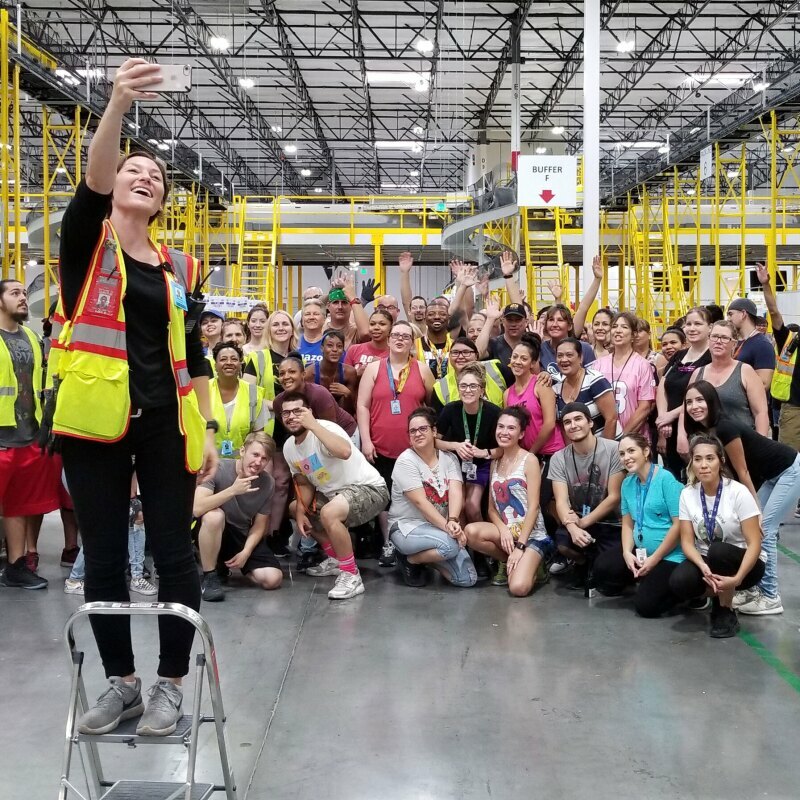 The company employs more than 45,000 people in Amazon's corporate headquarters in Seattle and has created 53,000 indirect jobs in industries ranging from construction to healthcare. Meet seven individuals with a range of skill, expertise, and personality, who represent the tens of thousands working on Amazon-related projects – from the interior designer who contemplates furniture that complements a building's story to the steelworker who frames a structure. Pat Lammers atop the highest crane in Seattle. A 38-story crane looms far above the rush of cars and hustle of pedestrians on the edge of downtown Seattle. After a daily team meeting, Pat Lammers's workday begins with a 700-foot climb to the top of that crane. This typically takes the Sellen Construction crane operator a half hour of continuous climbing, but such is life for the operator of the tallest crane in the city. "It's like climbing up the Space Needle with a ladder," he said. Born and raised in the Ballard neighborhood of Seattle, Lammers began working in construction at age 23 with a four-year apprenticeship where he was trained to operate different machines. "I eventually settled on becoming a crane operator because it was what I was good at," Lammers said. "To operate a crane, you have to have good vision and depth perception. Excellent coordination helps. You also have to be good at multi-tasking and have a good sense of the space around you. It can be stressful. But it's healthy stress. It keeps me on my toes." In the cab, Lammers hoists a stack of plywood from the ground up to the building's roof. "It's a pretty good feeling. I love getting up and working with folks from all the different trades. I like the fact that I can look back and see what we built," he said. Steelworker Luis Garcia at work. Below the surface of the buildings are the construction workers who create the concrete foundation and walls of the structures. "It's really cool to see when all of the rebar is in place. But nobody sees it ever again after it gets covered by the concrete," Luis Garcia said. "If you ask people what a rodbuster is, practically nobody knows what that is." Garcia expertly places lines of rebar and begins to secure metal ties on the steel together deftly. Within minutes, the reinforcing bars have transformed into a steel grid that strengthens the concrete foundation of a new mid-rise building. This is just a moment in the day-to-day of a "rodbuster" also known as a concrete reinforcing steelworker. Originally from Cashmere, Washington, Garcia first started working in steel in 2007. "I kind of fell into it," he recalled. "There was an ad for construction workers, and it was just something I liked. You're in a harness and climbing in high places. It felt pretty good to me because I used to rock climb a lot, and I just love being outside." From there, Garcia has worked on many local projects including Home Plate Suite by Safeco Field, The Spheres, and many local apartment complexes. "Working with the team, there's a lot of yelling and screaming, but at the end of the day, it's pretty fun to see what it is you're building," said Garcia, "You see that, and you get to say, ‘I worked on that.'" Robert Henson looks up as a new tower takes shape. One construction worker who can say that for many buildings in the neighborhood is Robert Henson. He recalled his very first project in the field back in 1985. "It was a 47-story Pacific First project down between 3rd and 4th and Pike and Union," Henson said. "Back then it took years to build these high rises. These days, we can build much larger structures in a third of the time." Henson, a veteran laborer, has done it all but no task is too small as he checks a power unit on one of the lower floors of the Block 20 construction site. The device supplies power for the whole tower – everything from the elevator core to construction power tools relies on it. "There is definitely a bond and trust that you build with these folks, which is so important on a construction team," said Henson. "These days, there are very few jobs that I go on where I don't know somebody. I guess it pays to be around for a while. " After more than three decades of construction work, Henson plans to retire after finishing on the current site. What does he imagine for his retirement years? "I'm planning to travel with my wife," he said. "Visit the grandkids and maybe take a few cruises." Elaine Wine ensured that the Seattle Spheres were to built to design, and on time and on budget. In development projects with large construction and design teams, someone is responsible for representing the client and coordinating with all the vendors. For The Spheres, Elaine Wine managed this task. As a development manager at Seneca Group, she describes herself as "the eyes and ears" for Amazon, ensuring the client vision is delivered and the project stays on budget and schedule. The Spheres, which opened in early 2018, created more than 600 full-time jobs and are only a small part of Amazon's more than $4 billion investment in the design, development, and construction of its Seattle headquarters. Because of the unique design of The Spheres, Wine was more immersed in the project than usual. "We did a number of things that had never been done before," she said. "There was a great deal of collaboration with the design, construction, and horticultural teams problem solving how we were going to implement the design and support the building structure over the long term, and this collaboration allowed us to find innovative solutions." Elaine Wine in the Seattle Spheres. She managed the design and construction of the Seattle landmark. Wine began her career in the design field as a Seattle-based architect in the mid-1990s but decided to bring her education and background to the client side. "I had seen owners who were not trained in design and construction. Sometimes they were asked to make critical decisions without understanding how that decision would affect the outcome of the job." 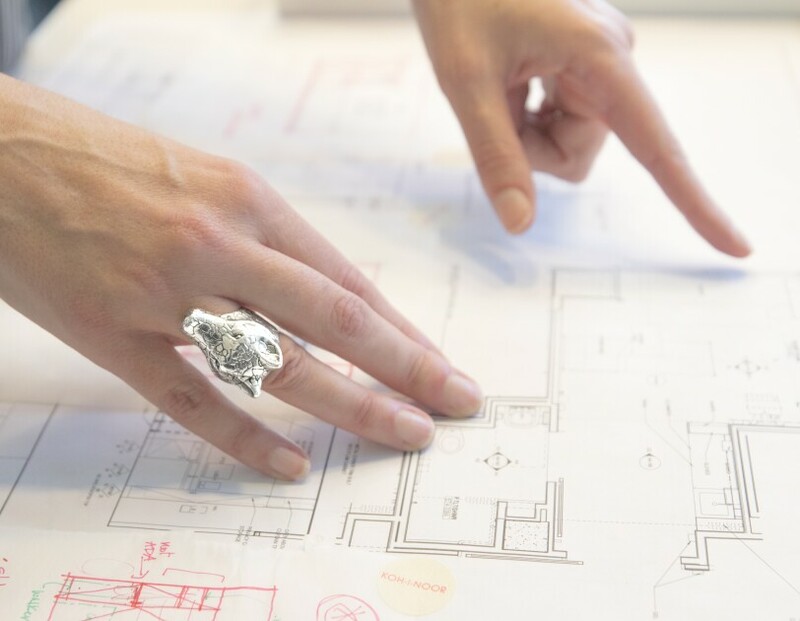 She's found combining design and construction expertise with the property owner's vision, and goals upfront has delivered better building designs and outcomes. "My favorite part of the job is connecting people and advocating for design," she said. "It excites me when you are able to connect the right people to solve a problem by getting input from many experts and building upon the ideas of others." Aside from The Spheres, Wine has worked on other projects in the region such as the Seattle Seahawks' practice and training facility (The Virginia Mason Athletic Center) in Renton and the Good Samaritan Children's Hospital in Puyallup. 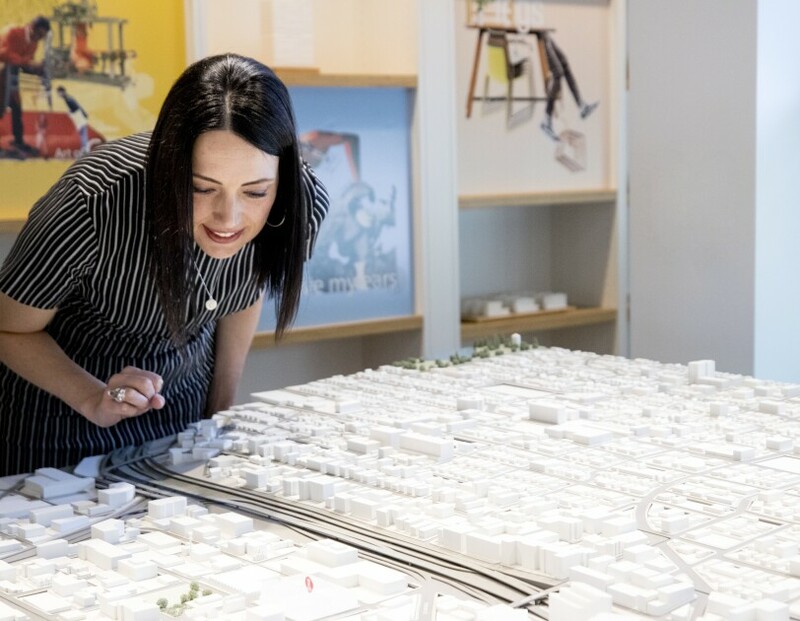 NBBJ's Tara Schneider standing over a scale model of the South Lake Union neighborhood. Interior designer Tara Schneider seeks to ensure that there are threads of consistency among buildings. NBBJ's Tara Schneider looking over architectural plans of an Amazon office. 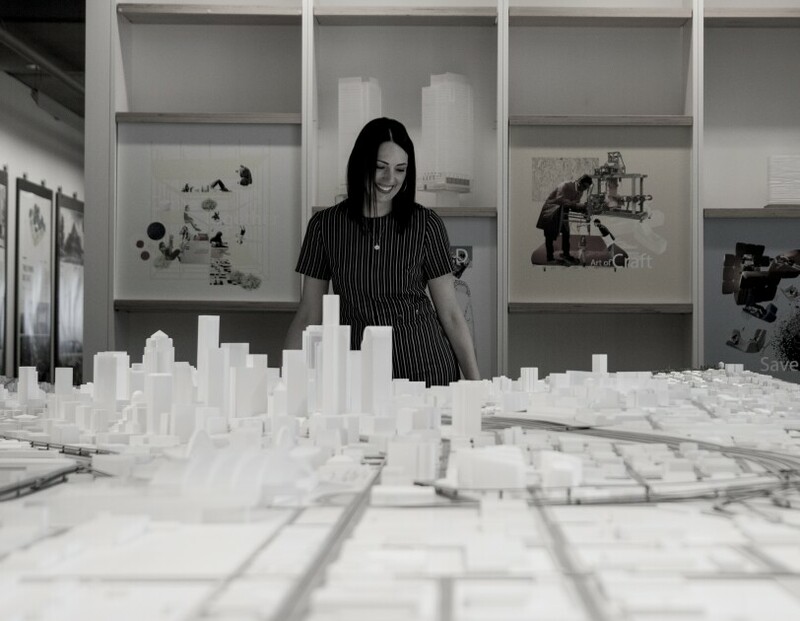 Interior Tara Schneider with a scale model of downtown Seattle. 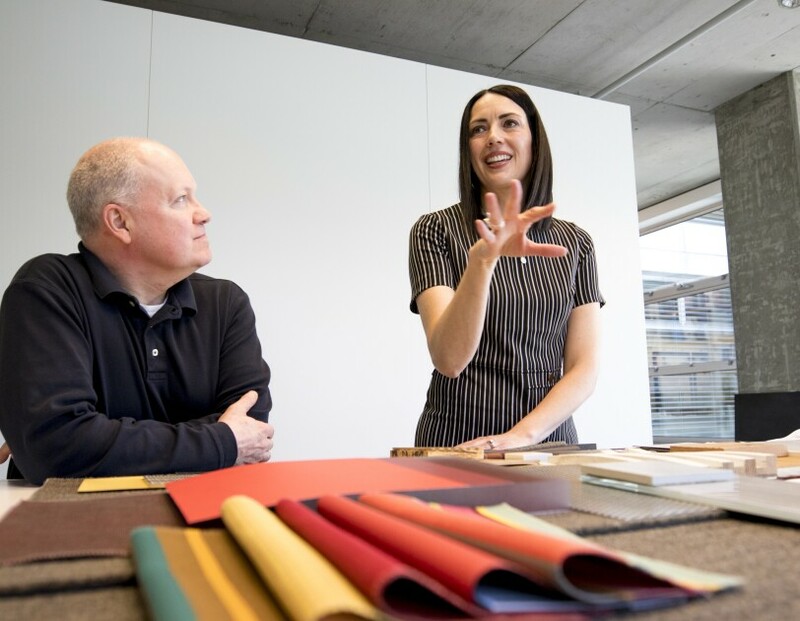 Interior designer Tara Schneider seeks to ensure that every Amazon office has consistency, but also a distinct personality. At any given time, Spokane native Tara Schneider is designing several different buildings at multiple stages of development. 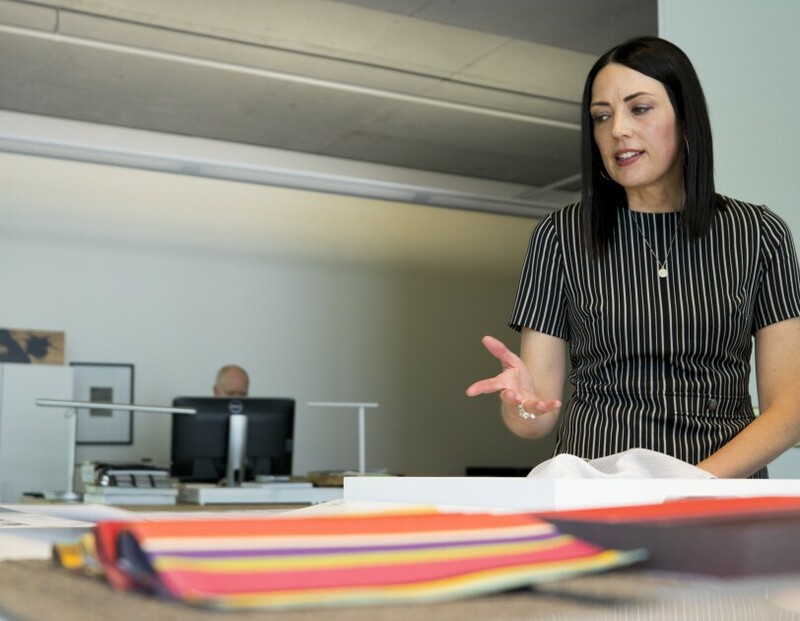 Schneider, a lead interior designer at Seattle-based architecture firm NBBJ, has worked on projects in the Seattle Area, including Sea-Tac Airport, Safeco Field, Swedish Medical Center, and Overlake Medical Center in Bellevue. Most recently, she's worked with Amazon HQ buildings including Doppler, the Meeting Center, Day One, and The Spheres as well as the design of nearby buildings. Schneider develops the interior of the space as part of the architecture team – from managing design plans and the development of materials and finishes, to furniture placement and coordination with other building systems. "All of these buildings have their own character and personality," said Schneider. "The six buildings in the Denny Regrade have threads of consistency that unite them as a neighborhood." Suraj Joshee is the commissioning engineer responsible for the South Lake Union District Energy project. In addition to the designers, the buildings also require teams to ensure everything is up to code and working properly. Commissioning engineers like Suraj Joshee work throughout the building and operations process. Originally from Kathmandu, Joshee first came to the United States as a mechanical engineering student. After a few different jobs that took him from Silicon Valley to New York City, he landed as a controls engineer 15 years ago. Over the last nine years as a commissioning engineer, he has been in charge of making sure all the systems and components of a building are designed, installed, and tested properly. "Our main job is to be a completely unbiased third party consultant who does quality control," said Joshee. "We typically are brought on board in the design phases of the project and continue to work on a project through the different phases to past occupancy." Unlike some other construction industry jobs, commissioning allows Joshee to work on many different buildings at once. Joshee has provided support for iconic Seattle buildings including the Bill and Melinda Gates Foundation building, the Space Needle, and many others. Joshee walks down to the basement of the Doppler building and begins to talk about pipes and pumps filling the room. "This is the District Energy Loop," Joshee said. "It allows heating or chilled water to be shared between the nearby blocks depending on the season. We also take waste heat from a non-Amazon data center and captures that energy for the buildings across the street." While extremely energy efficient, maintaining the system is no small feat, especially when adding new buildings to the system. "At first, the system was stabilized to only support Amazon's Doppler building. Every time we add a new building, it takes a lot of testing and adjustment to ensure a stable operation." Coordinating and installing a tree that's 49-feet tall and weighs more than 20,000 pounds took a stable operation of a different kind. Todd Holmes lent his expertise to The Spheres construction team to help bring a tree named "Rubi" to her new home in Seattle. For The Spheres, Amazon's team of horticulturalists sourced plants from more than 30 countries around the world and brought them to Seattle on journeys from botanical gardens, tree nurseries, and conservation programs that span five continents. The Spheres' largest inhabitant – a Ficus Rubiginosa dubbed Rubi – was planted at a tree farm in California in 1969. To get to The Spheres, Rubi traveled more than 1,200 miles on the back of a flatbed truck, arriving in Seattle after a 3-day journey through California, Nevada, Oregon, and Washington. Holmes first began moving trees when he was a teenager working for his father at Olympic Tree Farm, a Washington-based company that transplants trees. "I grew up working with him throughout the summers, and we had a lot of crazy adventures. I moved on to take over the company in my early twenties." Through the years, Holmes has become a local expert in moving large, unconventional objects. Holmes has been involved in many notable projects including a large log installation at the Seattle Art Museum's Olympic Sculpture Park. "I find living trees one of the trickiest things to handle as freight goes. Nothing is reliable or firm," he said. "The strongest thing you've got is the trunk, but even that is fragile in its bark, which can slip off if you grab it in the wrong way and lead to the death of the tree. Still, there's nothing I'd rather do for a living."